﻿What to do that first week of school? You want to get to know your students, but you also want to do some math right away. 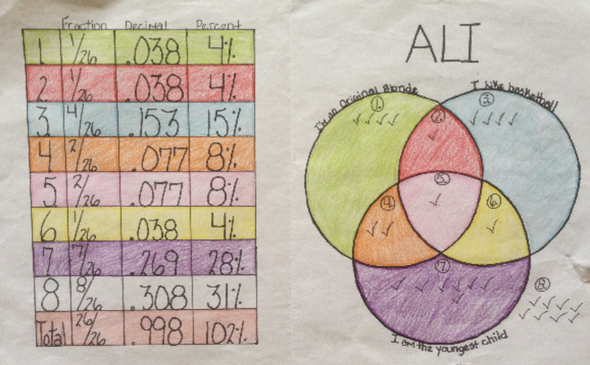 How about a beautiful project that incorporates data, measurement, and fraction-decimal-percent conversions? You'll also have some elegant projects to show parents on Back to School Night!